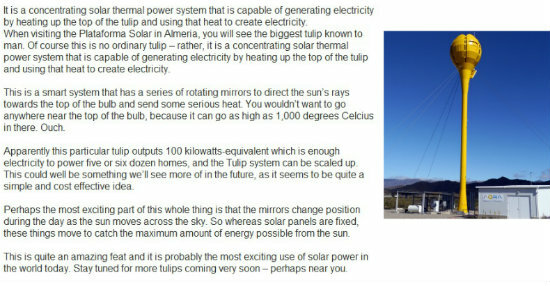 What is solar energy? Here we go! The Plataforma Solar de Almeria (PSA) makes for an incongruous sight: row after row of hi-tech solar panels amidst the hot, dry, dusty and barren Tabernas desert. This futuristic facility in a landscape that’s hardly changed for millions of years offers the visitor to Almeria an intriguing spectacle away from the well-trodden tourist paths. It is a rare opportunity to get a close look at the development of solar power technologies and an awe-inspiring glimpse of the future of power generation. This is Europe’s largest plant dedicated to the research, development and testing of solar technologies and their applications, and has been carrying out groundbreaking science into concentrated solar power for more than thirty years. 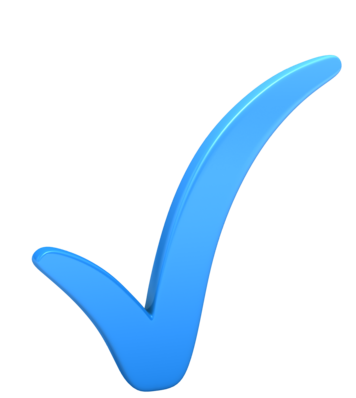 It is formally recognised as a Large European Research Installation of Scientific Excellence. At the present time PSA is primarily a testing facility not a conventional solar power plant that delivers renewable energy to nearby towns or villages. It is an astonishing fact that every single minute of the day enough sunlight falls on the Earth to meet the world’s energy demands for an entire year. But although solar power has the potential to provide much of our heating, lighting, water, cooling and electricity for homes, business and industry, it is stymied by being a very expensive technology. However, prices will fall as the efficiencies and effectiveness of the technologies develop and the solutions could well come from here. Solar power is a very active research field and every year new technologies are discovered with many of them being tried and tested in Tabernas. 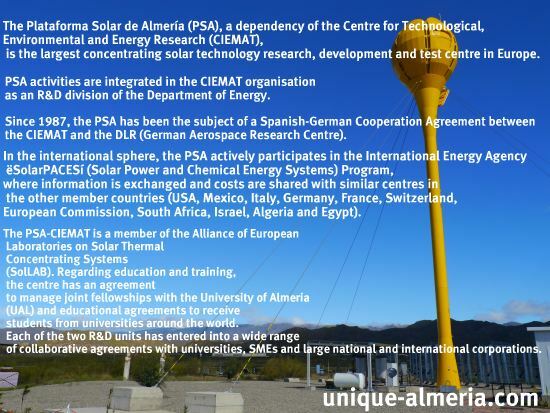 Spain is one of the world’s leading pioneers in the development of solar energy, and it’s due in large part to research carried out in this sun-blessed corner of Almeria. Tabernas is an ideal spot for solar power research as it’s in a region of southern Spain that has long levels of sun exposure, up to 3,000 hours per annum. In fact, the climatic conditions are similar to developing countries in the equatorial zone (where the greatest potential for solar energy is found). One of the first things that strikes you is the sheer size and scale of the place. 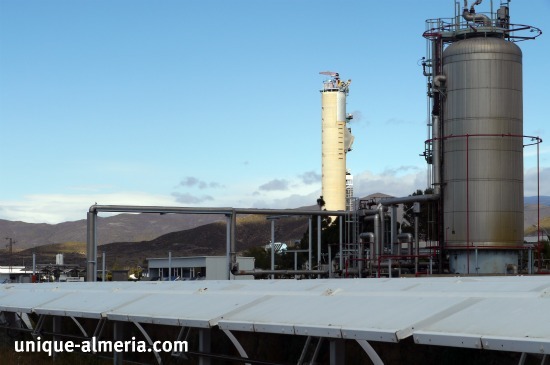 Plataforma Solar de Almeria covers an area of 103 hectares and has a number of test facilities. This includes solar tower systems, a meteorological station and to non-scientific ears the rather exotic sounding solar furnace which can reach concentrations of over 10,000 suns. This is a cutting edge heating system that enables testing on a variety of materials at very high temperatures in different atmospheric conditions. 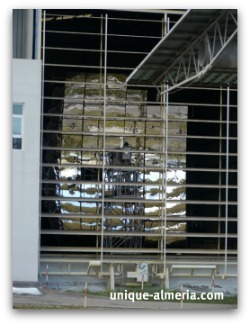 During our last guided visit, I was impressed by this Solar Oven. 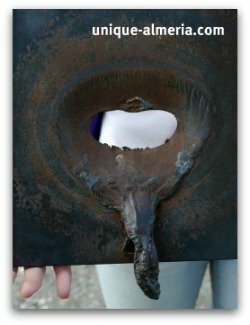 As our guide explained, this facility is capable to burn/melt a hole into a fairly thick piece of metal in less than a minute! The solar fields contain a variety of solar panels of different shapes and sizes. They are more correctly known as heliostats (from helios, the Greek word for sun) and contain mirrors attached to a motorised stand that move to follow the arc of the sun as it travels across the sky. The reflected solar rays are directed to a spot at the top of a tall tower. Water flowing through this apparatus is transformed into superheated steam which can drive an electricity generating turbine. Although one of the fields has been in operation for more than 20 years it’s still considered to be in excellent working condition. The PSA site also has two test areas to put heliostat prototypes through their paces. Since 2004 research activity has focused on two key R&D units: The Solar Concentrating Systems Unit that works on the development of new and improved ways of producing solar thermal electricity, and the Environmental Applications of Solar Energy that studies the chemical possibilities of solar technology for activities such as desalination and water detoxification. The vast amounts of sunshine in this part of the world are put to good use testing solar power components and systems such as heliostats, solarised gas turbines, control systems, thermal storage systems and solar receivers. One of the most active areas of research is desalination, the process by where salt and other minerals are removed from sea water to alleviate the world’s increasing shortage of fresh water. It is a very energy expensive process and many desalination plants run on fossil fuels which can have an impact on the environment. PSA’s desalination plant was built in 2002 and offers the scientific community state-of-the-art facilities to work on the development of desalination technologies using solar power. 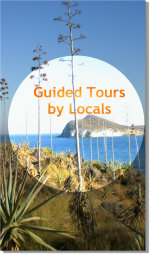 The Plataforma Solar de Almeria is open to visits by individuals and groups by prior arrangement. There is a visitor centre that offers a fascinating and informative insight into clean energy research. Before being taken on a guided tour of the facilities there is a ten minute film introducing the PSA and its history. The tour lasts for approximately 45 minutes and includes a rundown of three decades worth of research, and a background of the centre’s technologies and current renewable energy developments. This is followed by a demonstration of some of the PSA’s scientific processes, though this is subject to weather conditions. Note: The installations will be closed from 15th to 31st August! English speaking guide! - No minimum number of persons required! You do not have to be steeped in scientific knowledge about solar energy as all the presentations and discussions are clear and informative, giving plenty of answers to those who ask themselves: "What is Solar Energy?". If you decided to go there, please give my Regards to Lola, the lady behind the Reception desk! The plant is easily reached by car and is just a few minutes away from Tabernas. This charming pueblo sits at the foot of a hill topped by an eleventh century Moorish castle and is about 35 kilometres from Almeria city.